Rise and shine! Soft and scrumptious muffins always make for a great breakfast treat! Joining the best-selling Entenmann’s® Little Bites® Muffins are the NEW! Little Bites Cinnamon French Toast Muffins. 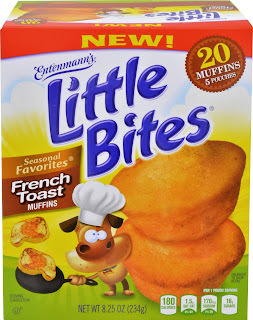 The Little Bites Cinnamon French Toast Muffins are the newest addition to the Little Bites seasonal line, and will be available starting February – May 2016. These delicious golden baked snacks are made with just a hint of cinnamon and infused with maple syrup, making the perfect breakfast delight. In a morning rush? Grab a pouch on your way out the door, Little Bites are always #GoodtoGo. To make breakfast a little more special, heat up the Little Bites Cinnamon French Toast Muffins in the microwave! Remove the Little Bites from the pouch, place them on a microwave-safe plate and microwave the Muffins for 7 seconds on high. Always make sure to test the Little Bites to ensure they are cool enough to eat and enjoy! The delicious taste of warm cinnamon french toast muffins are sure to please! Mornings aren’t always so hectic! Maureen Sticco from Entenmann’s bakery has shared fun and tasty DIY’s using the new Muffins that the whole family will love. Check out the Little Bites French Toast Breakfast Sliders, made with wholesome yogurt and fruit, here! For more delicious recipe ideas using Entenmann’s Little Bites, make sure to visit the Little Bites Facebook page. 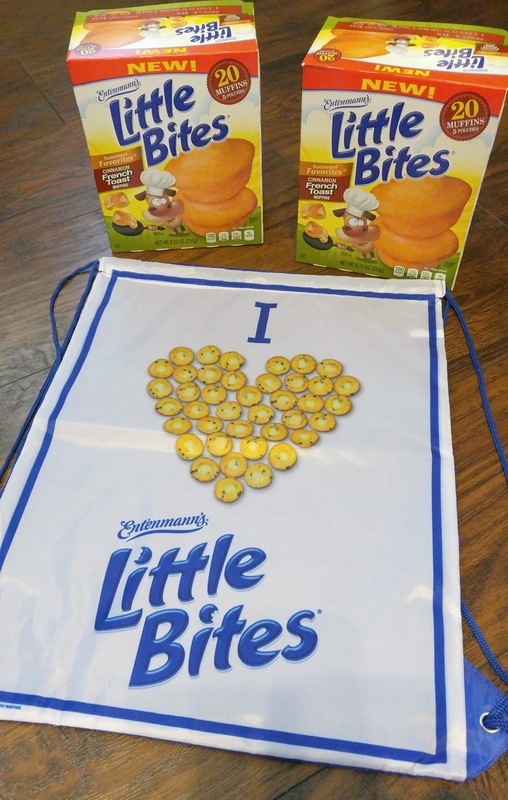 Entenmann’s Little Bites pouches of baked snacks have been making people smile for over 15 years! Everyone in the family will be sure to pack a pouch! Over 1 million Little Bites bite-sized baked snacks are consumed each year. That’s a lot of yumminess! Entenmann’s Little Bites are pre-portioned, good choice, multi-piece snacks that satisfy both parents and kids. 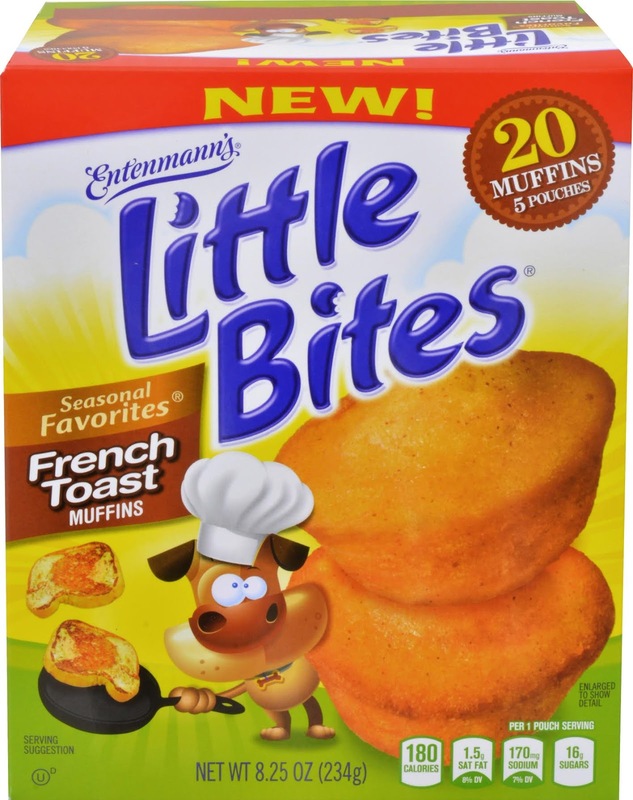 Every Little Bites pouch is filled with bite-sized baked muffins that contain 0g trans fat, no high fructose corn syrup, are certified Kosher and most Little Bites are 200 calories per pouch or less! We always have at least one box of Little Bites in the house. They are the perfect snack to grab for school, to throw in the soccer bag for after practice, etc. Now these new seasonal Cinnamon French Toast Muffins are perfect for breakfast on-the-go! Start your day with our deliciously sweet Cinnamon French Toast muffins. They aren't just for kids, as parents we are so busy running out kids all over, sometimes we forget to eat. No time for a big breakfast, no problem... a bag of these muffins are perfect to eat on the way to work. Get your French Toast flavor in bite size form without making a mess in the kitchen! We want to make sure you take a bite of the newest breakfast trend for those on-the-go mornings! One lucky reader (US only) will win a Little Bites Prize Pack!